hd00:21A man is leaning a piece of wood to a machine and he is shaping it. The end product will be to make a wooden car. Wide-angle shot. hd00:30VALLETTA, MALTA - JULY 24, 2015: Glassblower. Glass Workshop Wizard in Valletta, Malta. 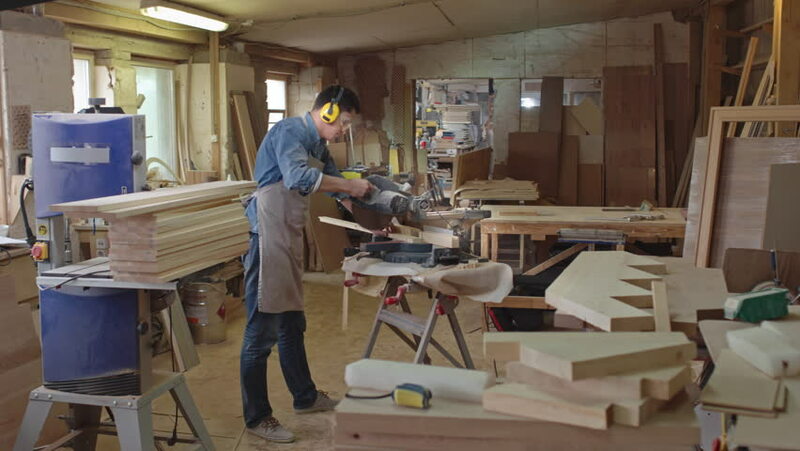 hd00:30A joiner is busy chiseling wood in his workshop at home. He puts a long piece of wood through a machine and waits for it to come out on the other side. Wide-angle shot.